You can find my book at all major booksellers, including here. Reminder that you can now view more frequent special needs posts on my professional Facebook page. 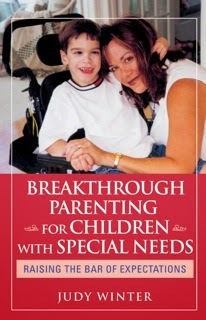 You can find out more about my book and my special needs mission on my website. 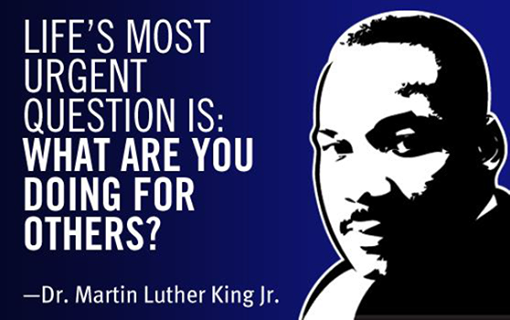 Annual Day of Service honoring Dr. Martin Luther King, Jr. is Monday, January 19th. Raise your voices whenever needed. 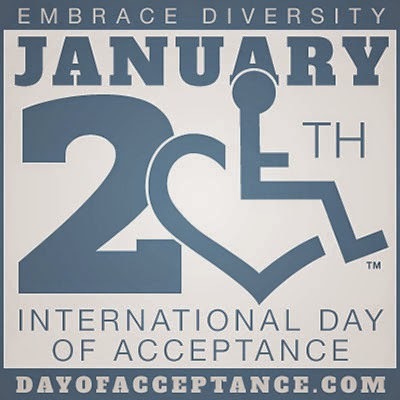 International Day of Acceptance is next Tuesday, January 20th. It's a time to create greater awareness of the importance of embracing people of ALL abilities, including those with exceptionalities. Reality is we need to stop leaving people with disabilities out of important conversations about diversity and equal rights, too. You can learn more about this special day and share your own stories here. And how about we practice this kind of acceptance all year long, too? Those super sibs Hunter and Braden Gandee are at it again. You may remember the Michigan siblings first captured our hearts and attention when Hunter carried his younger brother with cerebral palsy, Braden, on his back on a 40-mile cross-state walk to create greater awareness for cerebral palsy. This time, it's about the chance to play sports like every other kid. The short video is well worth the view and the lessons learned.